Diesel RV Club members, two people in one coach. 50-amp service. Non-members are allowed to register for Club events. Registration fees include 1-year DRVC membership. 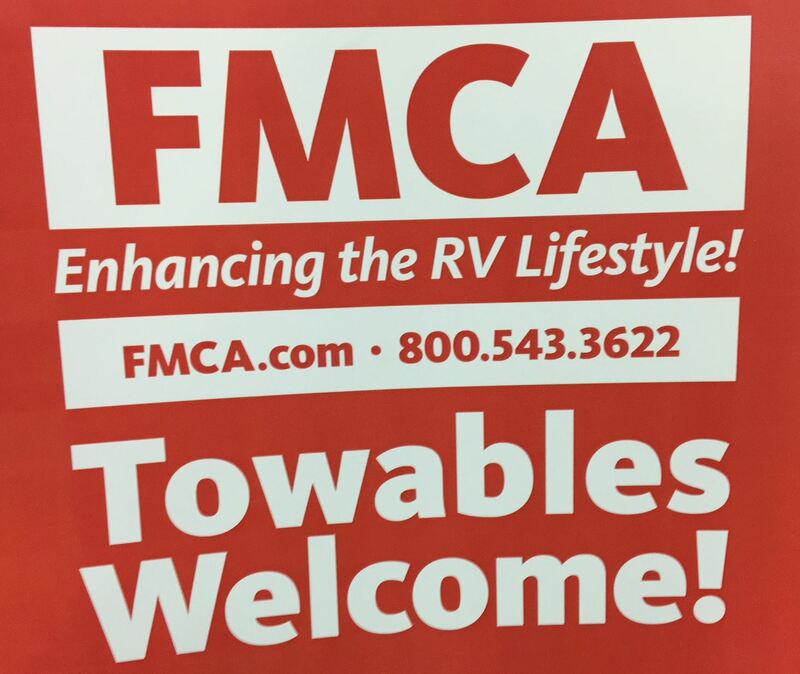 Diesel RV Club member, one person in one coach. 50-amp service. Five nights camping with full hook-ups and 30/50-amp service at Americus KOA and Backyard Plantation Golf Club located in southwest Georgia. Three hot breakfasts, one potluck supper and three catered dinners plus a continental breakfast on the last day. Technical seminars, craft sessions, group activities, contest and games, lifestyle presentations and owner round table. Preceding FMCA’s 99th International Convention in Perry, GA.
We're having a Mardi Gras theme. Come join the Fun! 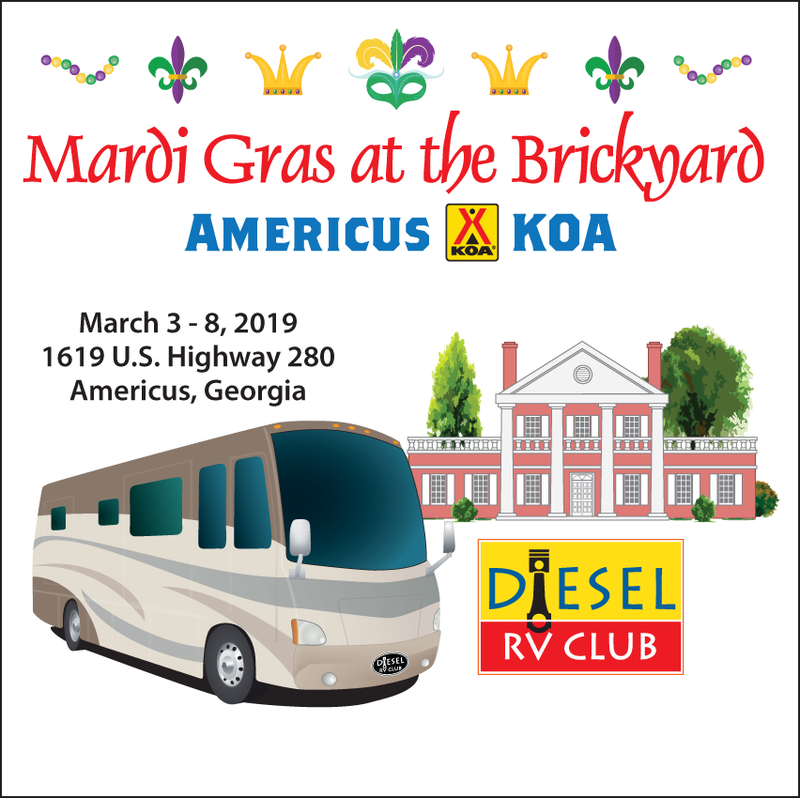 To view the website of Americus KOA, click here.